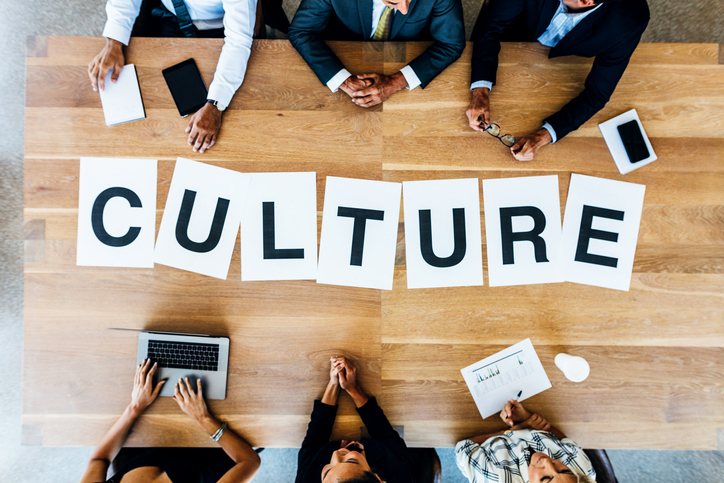 The 2018 Global Culture Report, from employee recognition and workplace culture consultancy O.C. Tanner, was developed from research surveys and focus group interviews with more than 14,000 employees and business leaders from 12 different markets around the world. Across more than 150 pages, the comprehensive research reveals a varied approach to organisational culture, with the country itself (and not industry or organisational size) one of the most important variables. Organisations in China and India, for example, are seemingly well on top of the need to give employees an inspiring and engaging work environment. But other Asia-Pacific markets, including Singapore, Australia, and Japan rank below the global average in each of O.C. Tanner’s six key “talent magnets” it has identified: purpose, opportunity, success, appreciation, wellbeing, and leadership. Japanese organisations rank bottom of the Asia-Pacific pile in each of these assessed areas. “We were inspired to undertake this research project because we saw a shift in workplace culture needs, and we wanted to put a spotlight on what HR leaders and companies need to do,” Vice President of the O.C. Tanner Institute Gary Beckstrand said. The research also found that there is no one perfect matrix for best-practice organisational cultures. Rather, the requirements of an engaging culture are evolving all the time, in line with demographic, societal, and technological changes. The 2018 Global Culture Report identified three “disruptors” that will continue to influence cultures into 2019. Increased diversity of the workforce is the first of these. 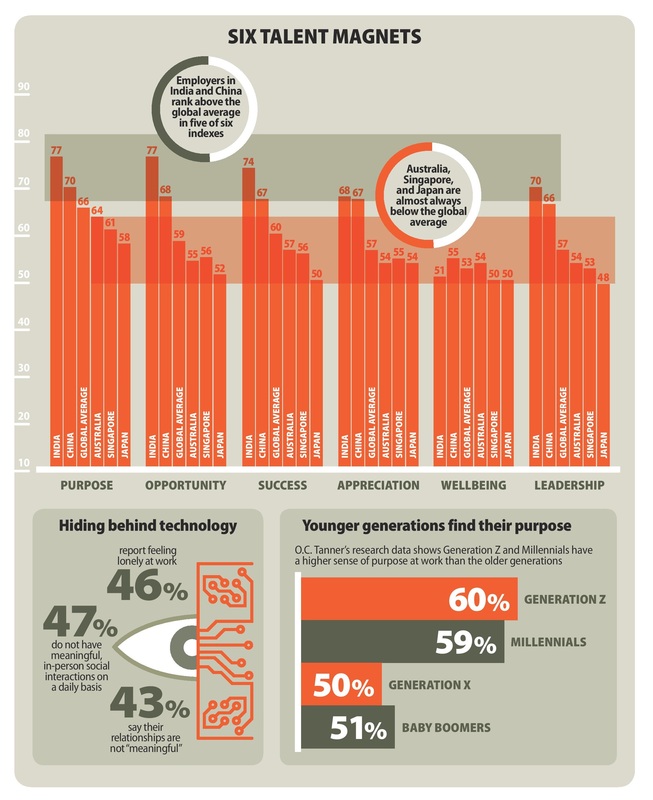 Many workforces now have five generations of talent within them. While inter-generational conflict is a common challenge, organisations that can master this and build successful multi-generational teams will find themselves ahead of the majority of the competition. These teams make better decisions together and are twice as likely to exceed expectations compared to single-generation teams, the report found. Increased use of technology and artificial intelligence is also impacting workplace cultures, as might be expected given the rate of technological change taking place at the moment. This is a particularly important disruptor for HR leaders to consider – they must do much more than simply use available technology. They need to advocate and champion for a comprehensive transition to the new, digital world of work. Perhaps related, the final disruptor impacting workplace cultures is the falling number and quality of relationships and “connections” that employees experience in their working lives. Some 46% of working adults feel lonely at work, which can lead to poor emotional wellbeing and have consequences for both the individual and their organisation. A great workplace culture can be the antidote to this emotional isolation, and O.C. Tanner argues such a carefully-cultivated working environment is more important now than ever before. The O.C. Tanner 2018 Global Culture Report can be downloaded at bit.ly/gcr18. Check out an infographic of key findings below.